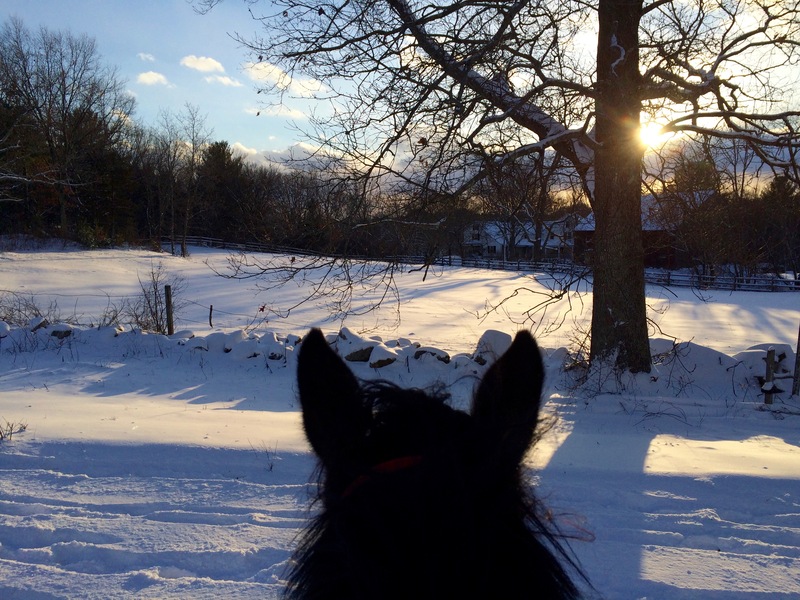 Fresh snow, bright sunshine, and a fresh horse. There is something very delicious about laying new tracks over pristine virgin snow. We had about six inches of snow yesterday and today was the perfect day for a snow ride: blindingly bright and sunny with soft fluffy snow. It was like riding through a cloud. Zelda and I went for a ride this afternoon and she was so fresh that I feared I might end up sitting in that new snow! I could feel her gathering herself for that big buck, but luckily contained it into some animated prancing and wore her out going up and down a few hills. She makes good tracks. And we made a lot of them. 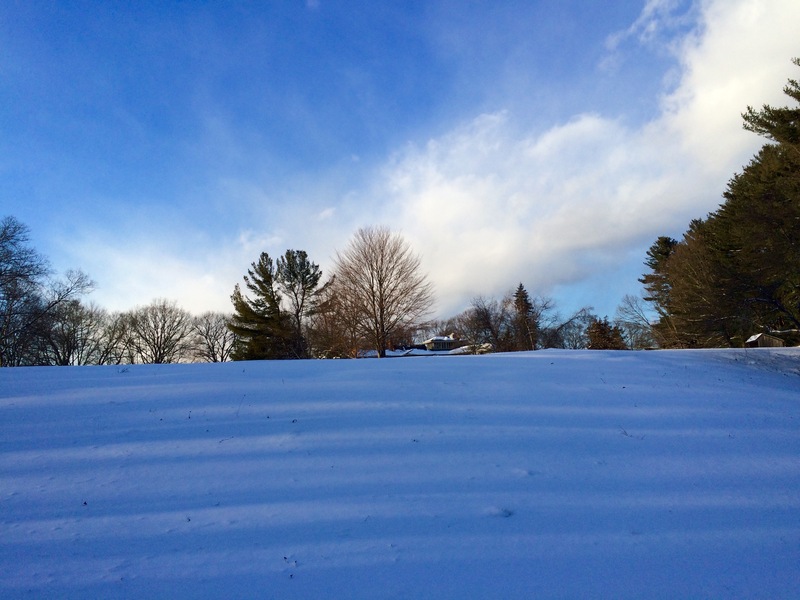 As the afternoon shadows lengthened the snow was almost as blue as the sky. Isn’t that the truth! Couldn’t feel my toes at the end of the ride, but totally worth it. The one reason I want snow, is to snow ride and lay some tracks! In my imagination it is way better than even a freshly groomed arena! Yes, it’s lovely to lay fresh tracks. Also the “swishing” sound that you get when riding through snow is very rewarding. Best depth of snow is about 8″. Yesterday’s snow wasn’t quite deep enough, but it was so light and fluffy that it was very pleasant.